Together with a number of content partners, AFS is convening the AFS Global Conference under the topic “Global Competence: Our Future, Our Responsibility” in Budapest this September. 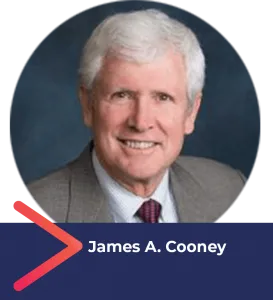 Dr. James A. Cooney, Vice Provost for International Affairs emeritus and Professor of Political Science at Colorado State University (see more below), is one of the distinguished speakers who will address hundreds of leaders from different sectors who will gather at the conference. We thank James for sharing his insights on global competence in this interview. What are the latest developments in promoting global competence among higher education institutions? Let me offer thoughts from the perspective of public higher education in North America, specifically as the main author of the 2017 national report from the Association of Public and Land-grant Universities (APLU) on campus internationalization. The theme of the report is reflected in its title, Pervasive Internationalization: A Call for Renewed Leadership. The APLU survey of 230+ institutions developed seven priorities for campus international efforts. The top priority was “internationalization at home” – another way to express global competence. That means developing an internationalization strategy, translating that commitment into actionable steps, and implementing the strategy by expanding faculty and students’ international competencies and adding international experience as a factor in faculty hiring, promotion and tenure. The AFS conference theme, appropriately, highlights the term global competence. The National Education Association in the U.S. has argued strongly that “global competence is a 21stcentury imperative.” It is not a luxury but a necessity. Global competence refers to international awareness, an appreciation of cultural diversity, foreign language proficiency, and competitive skills. The American Council of Education has issued a call for “global competence for all,” meaning the 90 percent of students who do not have opportunities to study abroad. The top goal from ACE’s recent mapping of internationalization survey was developing student global competence. The Association of International Education Administrators (AIEA) recommends that people not get lulled by the myths of “international competence,” such as believing that international experience can be equated with international competence or that it cannot be measured. AIEA recognizes that intercultural competence goes beyond language and knowledge of other cultures; skills and attitudes are equally important. What are the best practices you have seen that are successful in advancing global competence? To be honest, my overall assessment is that U.S. higher education efforts in advancing global competence have fallen woefully short. Campus internationalization in the U.S. just went through a “golden era” in the past 10-15 years, largely due to increasing international student enrollment. However, with anti-global sentiments world-wide and negative rhetoric in Washington, achieving progress in internationalization and global competence in the next few years will be challenging. There have been some important successes in the best practices area. The advances in assessing global/intercultural competence have been impressive and provide campuses with valuable benchmarks. The development of key strategic partnerships has also been striking so that most leading U.S. universities are now much more closely connected with international sister institutions. These relationships range from international satellite offices to joint research efforts to branch campuses to “colleges within a college,” and new reciprocal initiatives are also beginning to develop. New York University, Duke, the University of Illinois, Carnegie Mellon, the University of Washington, UC Berkeley and Colorado State University have all developed interesting models of collaboration in China. One hopeful sign in the U.S. is the increasing awareness that campus internationalization is not about one thing; it is about everything. Internationalization – and by association global competence – is not simply an add-on option for universities. It has to be a fundamental commitment. Still, for the success that universities have achieved, there are very few best practice models for instilling or improving global competence on campuses. How does an institution “internationalize the curriculum” or teach students to be global citizens? In general, U.S. universities are clamoring for answers, but no clear path has been defined. One of the APLU action steps for chief academic officers called for “a comprehensive review of undergraduate and graduate curricula to ensure global systems and processes are prioritized.” What does that mean or entail? The former president of Harvard, Derek Bok, emphasizes the importance of “thinking interculturally,” but universities have not yet figured out how to do that. Why would you recommend attending the AFS Global Conference? Well, I qualify as a loyal and passionate AFS returnee in every sense of the word – my AFS experience was in Austria (just a few kilometers from Budapest), I married an AFSer, our children were both AFSers, we hosted a wonderful AFSer from Argentina with whom we are in constant touch, and I served on AFS international boards for several years. My AFS connections alone are reason enough for me to attend! More importantly, AFS has been the essential voice in global competence and intercultural understanding for 60+ years, and this idea of a “global conference,” bringing together stakeholders from all sorts of sectors, including higher education, is timely and essential. I applaud AFS for this innovative step, and we are counting on AFS to be a lead voice in “global competence” discussions and debates in the years to come. Make no mistake: we will face serious opposition to advancing global competence so we will need strong arguments and evidence to show how valuable this approach will be. James A. Cooney is the Vice Provost for International Affairs, Colorado State University, former Chair of the AFS International Board of Trustees, and lead author of the 2017 report on campus internationalization in the U.S. He is the chairperson of the Confucius Institute Advisory Committee at CSU. 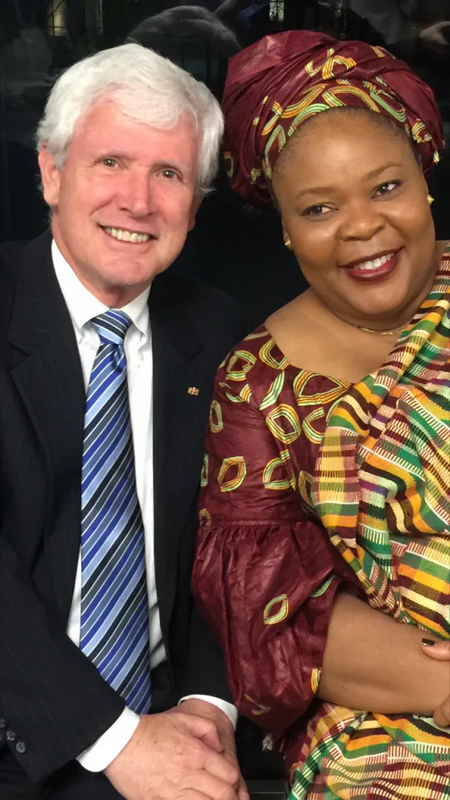 Cooney worked at Harvard University for 23 years as Executive Director of the Weatherhead Center for International Affairs, Dean of International Programs at the Harvard Kennedy School of Government, and Director of the McCloy German Scholars Program. He also held positions at the Association of Public and Land-Grant Universities (APLU); NAFSA: The International Educators Association, and the Aspen Institute in Germany. He taught at numerous universities around the word, authored five books and received the Officer’s Cross of the Order of Merit of the Federal Republic of Germany. Cooney received his B.A. and Ph.D. at Harvard College and MIT, and he was a Fulbright Scholar to Germany.